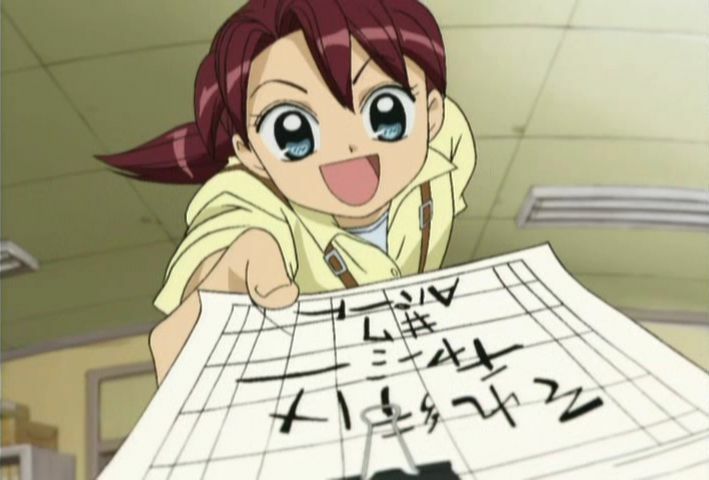 If you thought that our frantic little animation runner, AKA Oguro "Kuromi" Mikiko, had a hectic schedule churning out one animated TV episode, just imagine what she's about to go through now that she has to do three episodes all at the same time! Last time, Kuromi had to pick up the tricks of the trade in order to get their episode done on time, and she just barely squeezed by. 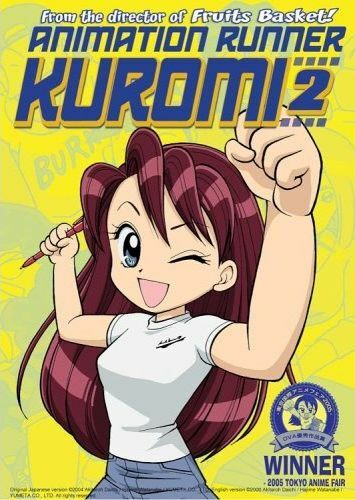 And even though the show only lasted one season, Kuromi's studio got a good reputation, and was thus handed three new animated episodes, each from a different series... and each VERY different types of shows, ranging from creepy grotesque zombies to super cutesy magical girls. Kuromi's inexperience in dealing with concurrent episodes shows very quickly when it's discovered that she scheduled all three for voice recording on the same day. Thankfully, everyone from the first series returns, and tries to help out. Of course, Hamako Shihonmatsu, the director, just happened to decide to quit smoking... which is easier said than done, and makes helping out a lot more difficult as she continuously leaves reality behind and accidentally unknowingly attempts to light up and smoke various objects. 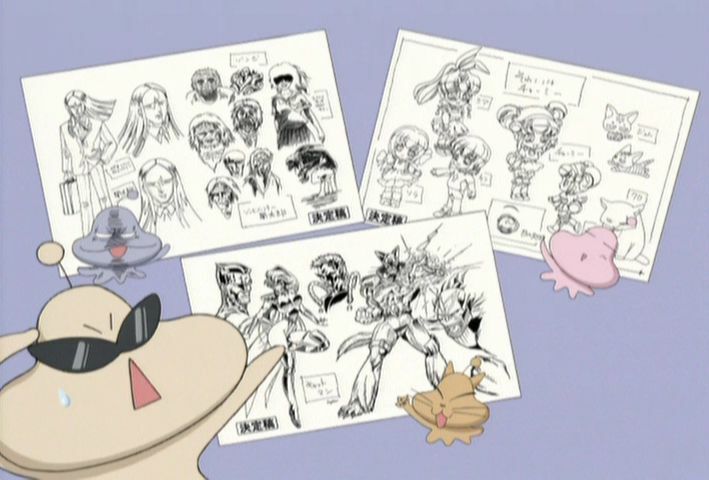 The artists, Mr. Haryu, Mr. Tanonaka, Ms. Fukami, and Ms. Horaguchi, still continue to work in studio, though just like before they each have their own personality quirks, such as Tanonaka being quick with his work, but poor on the quality, and Ms. Horaguchi requiring her egos to be stroked in order to keep her working at a quick enough pace. Even so, with three shows and not enough time, Kuromi is seriously gonna need to bring in some extra help... and fast! Unfortunately, before she can get anyone else working on the projects, some extra help is brought in for her... in the form of veteran producer Takashimadaira and his "animation strike force" (AKA, his two lackey animators), Tokahara and Kumegawa. Why unfortunately? Well, because all Takashimadaira cares about is getting the job done, not getting the job done right! 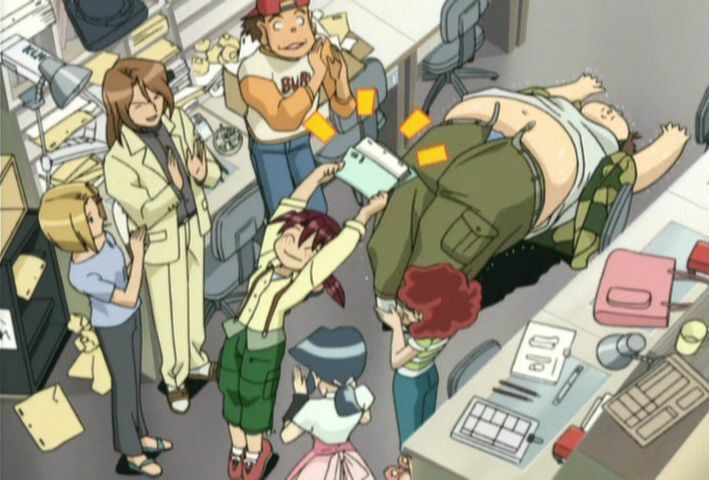 Takashimadaira overworks the animators like it was a sweat shop. Corrections to key cells? Sorry, no time! Highlights? No way, his animators hate highlights. So there goes quality flying out the window! No time for any quality control! Just go, go go! And the result should be obvious... the current key frames are so bad that they're practically unusable. So now our frantic little animation runner is gonna need to make some really tough choices... and she's gonna have to do it fast as the key cells are already on their way to the inbetweeners! Will Kuromi decide to just let it ride, or will she put her sanity to the limit and get the key cells back, fix them all up, AND do all the inbetweens before time runs out? In other words, will our frantic little animation runner be able to pull off the impossible once again?! Just like the first episode, this anime is simply hilarious. Although I still think the first one was a bit funnier, this one still easily stands on it's own. I just wish it was longer, as fourty-five minutes really felt too short! 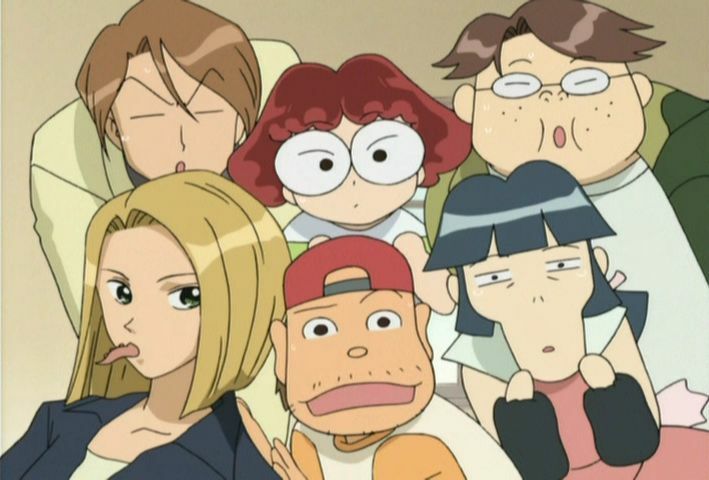 Apparently this won best OVA at the 2005 Tokyo Anime Fair, and it's easy to see why.